Prom is a semi-formal dinner and dance for juniors and seniors in high school, usually at the end of the school year. It is a celebration for seniors that they’ve finished high school and a chance for juniors to relax before a stressful year of college applications and school. A lot of preparation goes into getting ready for the event. They usually don’t get a lot of other things to think about. venue, usually in the school gym, where college students would enjoy each other’s company and dance a little. 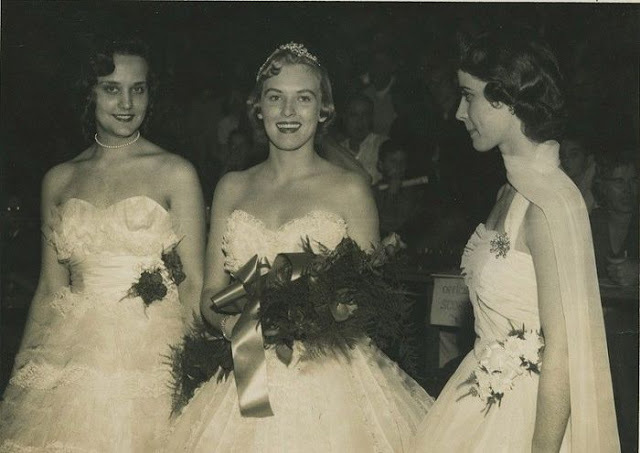 By the 1930s, parents caught onto the trend and urged high schools to host their own version of prom. Parents and teachers believed this event to be a good opportunity for juniors and seniors to also learn social etiquette and prepare them before they went off to college. The only difference is that high school prom was heavily chaperoned by staff and parents. As prom increased in popularity, venues for these events became more elaborate and extravagant. Dancing moved from tiny gyms to dancing halls. Local bands were hired to play live music through the night. High schools even had to create prom committees where students were tasked with planning the entire event of prom. Usually the planning would start at the beginning of the school year! The early 2000s shaped our image of what prom is like today. With the help of movies like “Pretty in Pink (1986)”, “She’s All That (1999)” and “Mean Girls (2004)”, these movies put their own twist on what prom is like for teenagers. They also comment on social pressure teens experience leading up to prom. Today, prom has evolved into an extravagant party, with many traditions, where high schoolers can enjoy themselves before they graduate and enter adulthood. Before the dance, girls and boys spend hours preparing for the party. They get their hair styled, makeup done and get dressed in their fancy dresses and suits. With a lot of pressure to look good, the cost of prom adds up. According to a 2015 survey from Visa, American families were spending an average of about $919 on their prom-goers. Many American parents are okay with spending so much money, because they see this event as a reward for their son or daughter for working so hard in school. 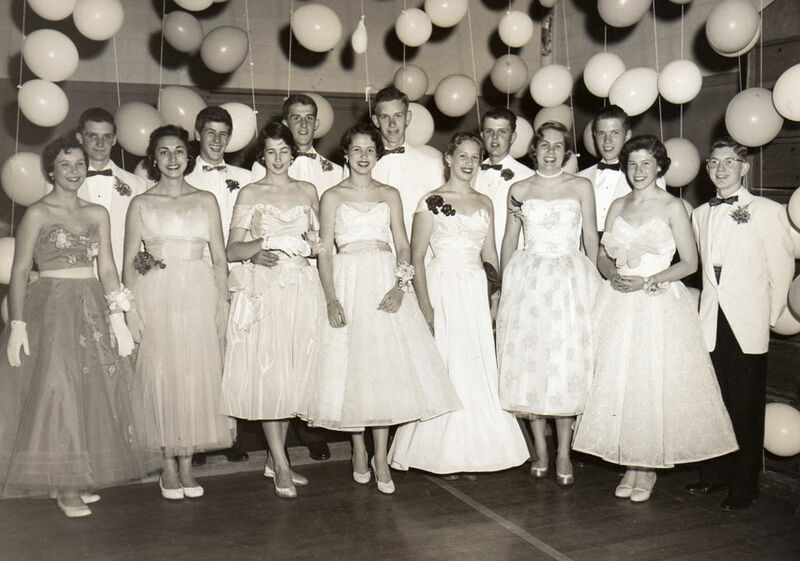 In America, prom has been around for a long time. With prom come many traditions that are essential to the entire event. For any prom couple, a matching corsage and boutonniere is a must. A corsage is a single flower or small flower arrangement secured with a ribbon or elastic which is tied onto a girl’s wrist. A boutonniere is the same flower arrangement, but pinned to the boy’s suit lapel. These are usually matching, because there can be no questions to whether a prom couple are together or not. Leading up to prom, guys and girls are in search of a prom date. 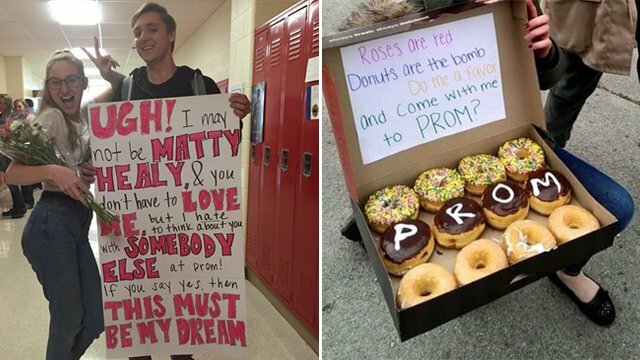 With social media, the promposal has become a recent addition to the list of prom traditions. A promposal is a very public way of asking someone to be your date. Usually a guy or girl comes carrying a sign with a funny pun and some balloons and asks someone to go to prom with them. Every prom dance has a theme. Like the Roaring 20s (a Great Gatsby inspired event), Under the Sea, Masquerade or Enchanted Forest. These themes help set the mood of the dance. It also helps high schoolers choose a dress that is similar to the dance’s theme. 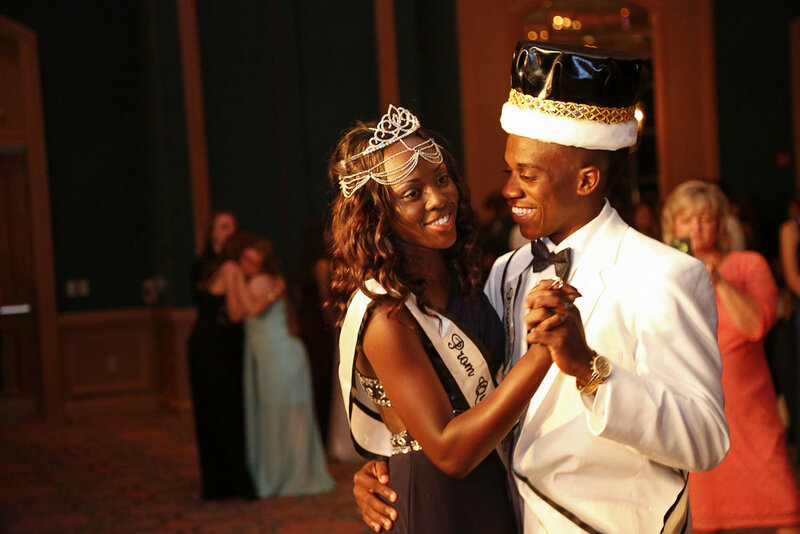 No prom is complete without the crowning of Prom King and Queen. This is perhaps the most anticipated part of prom, because it is a popularity contest. Whoever has the most votes during the dance gets crowned. Before the event, anyone who wants to become Prom King or Queen campaigns in their school by handing out fliers and talking to others to get them to vote. During the dance, students are asked to cast their vote for who should become Prom King and Queen. The winners are announced at the end of the prom and presented with crowns and sashes. Some schools nominate an entire royal court with princess and princes as the juniors and queens and kings as the seniors. We reached out to FLEX alumni to tell share their prom experiences with you! My name is Valeriia Kharchenko and I'm a FLEX alumna of 2016-2017. I stayed in Stanton, Nebraska and attended Stanton High School. Prom is the most important high school dance and as a junior I was really looking forward to it. The theme for our prom night was the enchanted forest, so other students and I helped to decorate the gym beforehand. Before the dance started, everyone gathered in the gym to find out who became the king and queen of the prom night based on the voting system. 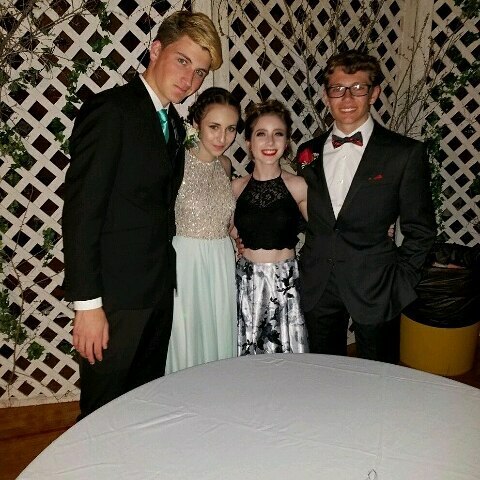 The dinner and the dance were followed by after-prom, which consisted of fun games and little competitions with prizes and lasted till about 2-3 am. The thing that surprised me was how everyone had to take an alcohol test before walking into the gym. And also, how much money girls spend on the whole prom look just for one night! 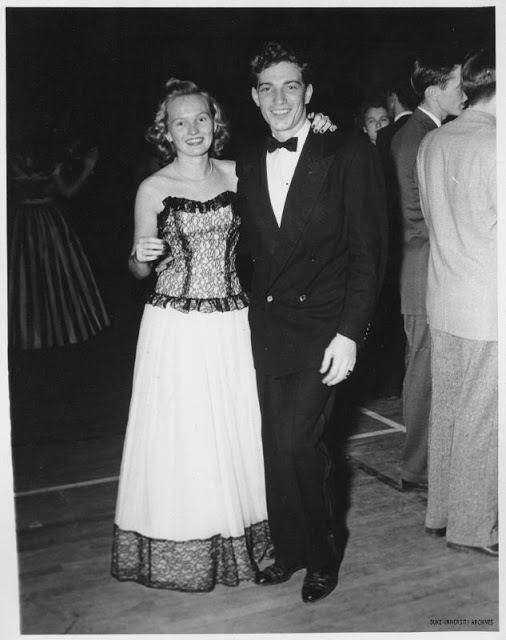 The thing that I liked the most, besides getting dressed up and putting on corsages and boutonnieres, is the tradition of inviting a date to the dance. I find it very special and cute, because everyone shows their creativity. In my case I asked my guy friend to be my date with a note and some cute stuff based on his interests. My name is Kyrylo Shturbabin and I attended Lewis Palmer High School in Colorado, Springs. As an exchange student, I wanted to have as traditional an American prom as possible. I had a suit, a boutonniere and a matching corsage for my date. However, I remember informal activities such as resting in an open-air hot tub with friends afterwards and playing casino games at the after-prom party. My name is Anhelina Lomakina. I spent my exchange year in Monrovia, Indiana. I attended Monrovia High School as a junior. My prom experience was truly amazing. They rented an amazing place downtown with glass ceilings and walls. We danced and had a lot of fun. I had a chance to make many close friends in high school. I was nominated for prom court and became a prom princess. Seniors were nominated as queens and kings, while juniors were nominated as princesses and princes. For the second part of prom our school rented out a huge gaming center and we all changed into prom shirts. There were all kinds of slot machines and games. We played them all night, it was just amazing. Rite of passage: a ceremony or celebration marking an important stage in someone’s life. 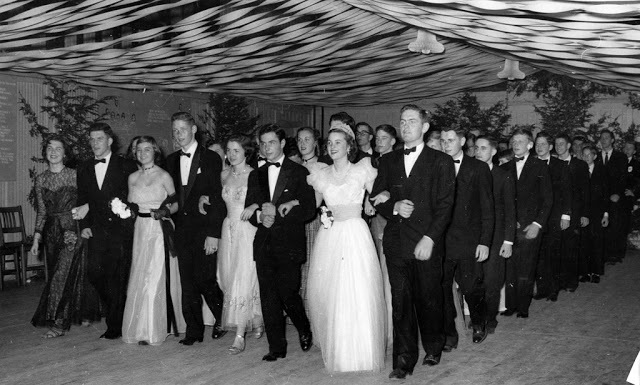 Promenade: a formal dance held at a college. Chaperone: a person who looks after someone or something. Extravagant: over-the-top, a lot of money and effort is put into something.